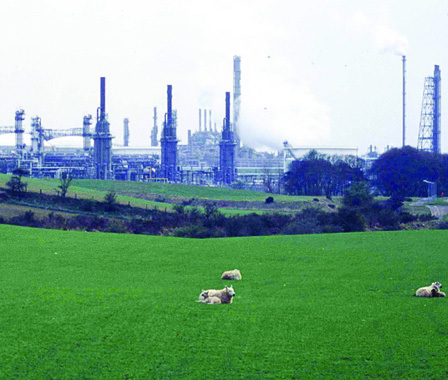 The Mossmorran NGL (natural gas liquids) fractionation plant is part of the North Sea Brent oil and gas field system located on the outskirts of Cowdenbeath, Fife. The flare from the Mossmorran site is clearly visible, day and night, from any elevated point in Edinburgh at normal levels and can be seen from many tens of miles away when it is in full flow. RMP were employed to undertake environmental noise monitoring during flaring activities and to provide design advice to control noise from the flare stacks.